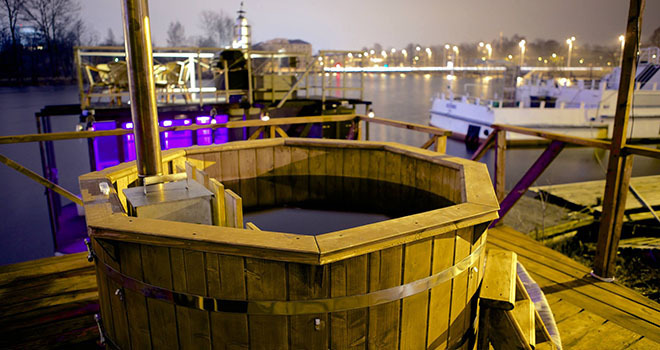 Enjoy the beautiful view of Riga Old town and the Suspension bridge while taking a hot tub, sauna or making a BBQ on saunas` rooftop terrace. 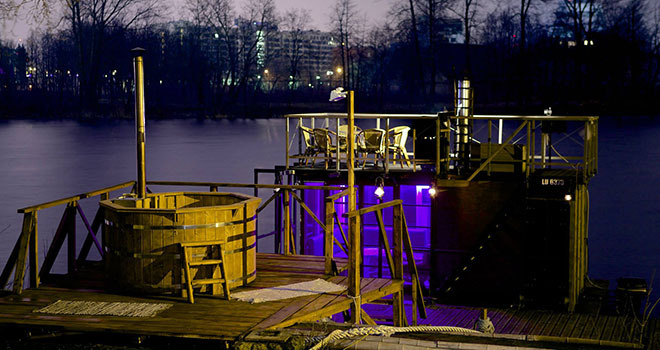 Floating sauna and hot tub in Riga can be booked all year round and is even more perfect in winter when outside temperature is negative. Remember sauna is not only fun but is good for your heart; relieve stress; cleanses the skin; relax muscles and soothe aches/pains in both muscles and joints thus helping you to recover faster. 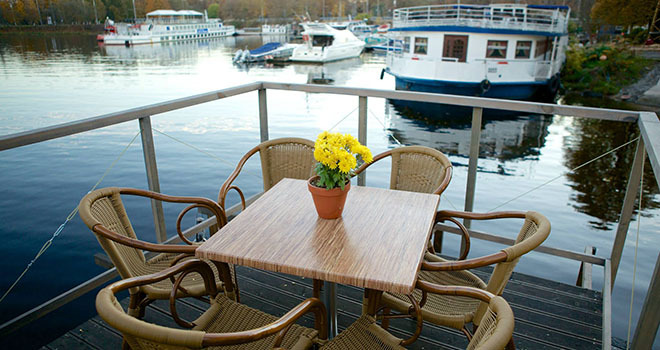 We will meet you at your hotel and then you will be driven to place where the floating sauna is located. 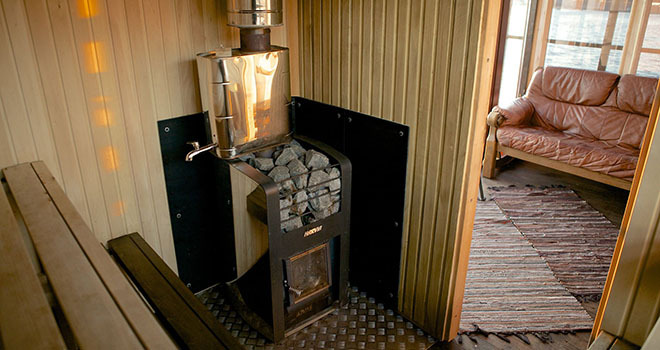 At the time you arrive the sauna and a hot tub will be ready and hot so you can start your party straight away. The whole activity takes 3 hours and after that you will be dropped off in your hotel.